The 17th Century: not an easy period for a farmer. 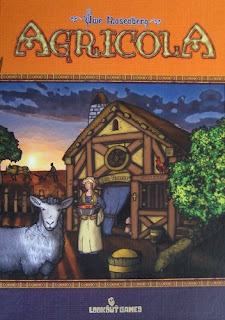 In Agricola players start the game with two family members living in a two room wooden hut. In each round, each member of their family may choose one action. If they collect wood and reed, they can extend their hut and then add to their family. Family growth allows additional actions, but has the disadvantage that more food must be produced. And to get food, the players plow fields and plant seeds. The planted grain and vegetables are harvested during the harvest, when animals breed as well. To raise animals, pastures must be fenced to allow sheep, wild boar, and cattle to graze. Occupations or Improvements can ensure a family's upkeep. Each of these cards allows the player a small advantage in the game. Victory points are earned when players renovate their wooden hut to a clay hut and later even a stone house. But everything else to do with balancing food requirements or making everyday life a little more comfortable can earn victory points - especially Family growth. Each game uses a different group of the 166 different Occupation cards and 146 different Improvements, ensuring that no two games are exactly alike. 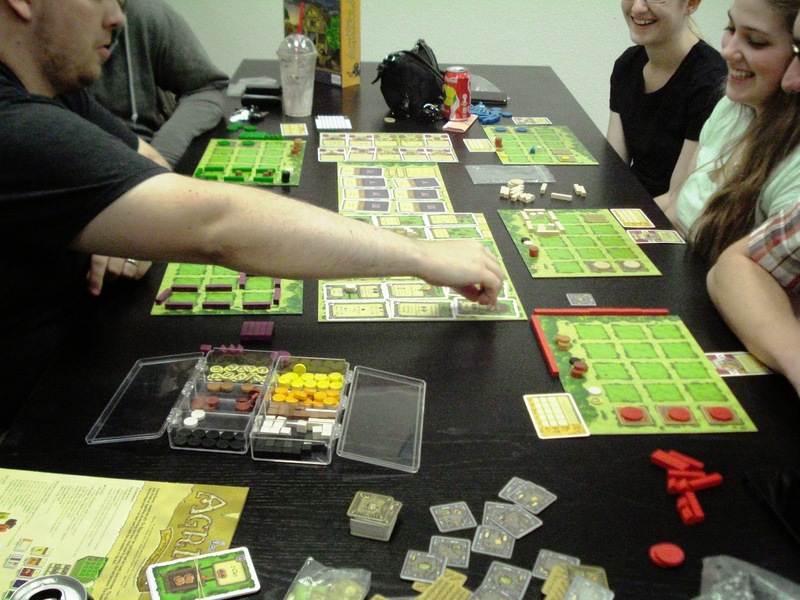 We have an open copy of Agricola available in our Store Demo Library for you come in and try out.